Wether it be because your bored or because you just want some prestige among your World of Warcraft buddies, grinding out the Loremaster title is as rewarding as it is soul sucking. And it is so very soul sucking. Your grind is going to be no small matter. There are quite a lot of things you want to consider before starting a Loremaster. It's not a problem for some people (like me) who are avid farmers and don't keep a whole bunch of junk in their bags. However, seeing the bags of my World of Warcraft friends makes it worth saying. Quest rewards and various junk you loot from mobs is going to pile up in your bags pretty quick and if you go to pick up the quest item and find your bags full, you'll be kind of frustrated. Also, if you go to sell all your junk and sell a piece of gear want, again, frustrating. So it you do keep something in your bags, keep it where you won't delete it. Buy your master flying and flight's license (so you can fly in the old world). It's pretty self explanatory, the faster you move, the faster you quest. Plus some places will have you flying all over the place for quests. (I'm looking at you Icecrown!) So if you can afford it, purchasing master flying is well worth it. I actually purchased mine during my Loremaster because I had accumulated enough from questing. 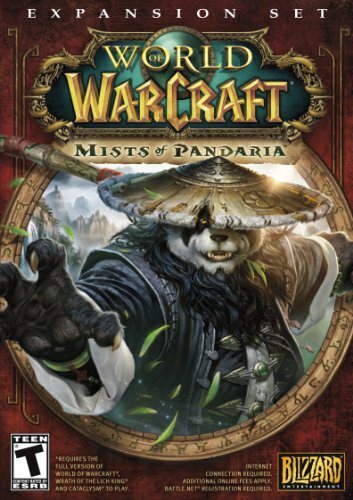 I started my Loremaster when Mists of Pandaria was in Beta before it even had a release date, which was about five months before it's release. I freaked when it got it's release date because I was afraid I wouldn't have enough time. Nothing is more demoralizing than getting close and them having more zones added on. Never start your Loremaster if you might not make it before and expansion. If the exclamation point is blue, don't do it. They don't count for your Loremaster so don't do them. Some daily quests start out as just regular quests and then turn daily after you do them once, those do count. Even with the flight license that let's you fly in the old world, there are still no-fly zones that you have to do for your Loremaster. If you leave them for last, they are just painful to drudge through. Not particularly related, but when you get to Outland, do Blade's Edge first, it's a real demoralizer. It may be tempted to just do whatever zone you please, but you'll be more motivated if you stick to one continent and finish it up. While I recommend you do one continent at a time, I also recommend you mix in enjoyment with your frustration. Do a zone you like, then suffer through one you don't, then repeat. Doing all your favorites first just makes finishing a continent more boring than it needs to be. Loremaster is a long and often frustrating achievement, take breaks from World of Warcraft as needed. Especially if you get stuck in a zone, sometimes it's best to just walk away. The rewards for Loremaster are the title and the tabard, it's a pretty sparse reward for all that work. But questing from old world to Cataclysm will net you roughly 15,000 gold. Buy yourself something nice, like that mount you've always wanted or that piece of BOE gear that you need. If you want to do this with no addons, good on you, but it'll take much longer than it needs to. I recommend the unoriginally named addon 'Loremaster' that will put little quest markers on your map so you can find all those obscure quests. I also recommend you download 'Coordinates' because if you use Wowhead for help, most people put the coordinates of where you find what you are looking for. In conclusion, have fun and try not to pull out you hair grinding out your Loremaster achievement. It's a rare find and highly respected. Plus you'll get to witness many of Blizzards' poorly hidden bad jokes. Make sure you live up to the title, this will really give you knowledge in the World of Warcraft so expect some newbies to ask you questions about questing in a zone. Being a Loremaster shows you have a high endurance and possibly no life. It shows you are a good farmer and an asset to any good guild, well, as long as you come with the raiding ability too.